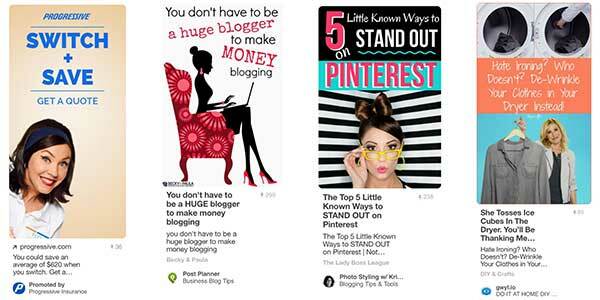 I have been looking at thousands of Pinterest pins, for “research”, yeah that is what we will call it! Seriously though, I have been focusing A LOT of my time on figuring out what is popular on Pinterest so I can drive more traffic to my website and products. With all that reviewing I have found 4 things that really make a difference in how “popular” pins become. Before we get started today, let’s talk about a survey done by Curalate 3 years ago that people seem to be taking as the gospel for Pinterest evermore. Much of the Pinterest advice that I read about references this data as justifications for how they are creating pins today. While I am a data nerd, I do try and look at the context of data. 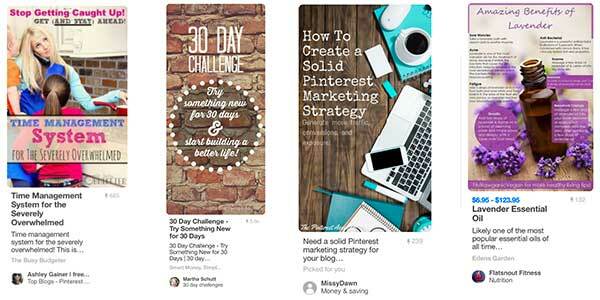 Pinterest has actually changed some things since then that would make at least one of these ideas moot. 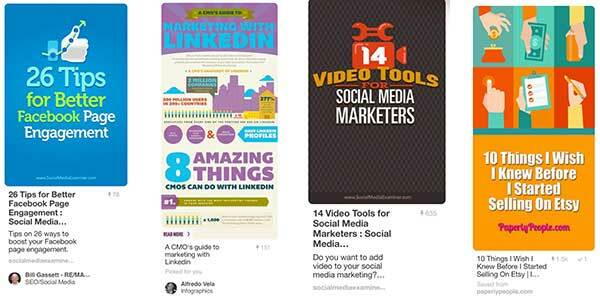 For example, Pinterest now truncates super long images, possible cutting them off at an ineffective place. This post is about how I take these “rules” with a grain of salt and instead look at actual live pictures on Pinterest and see what is working and not working today! One of the main things that Pinterest is known for is “pretty pictures”. It is a place where oftentimes the picture more than the message is what is saved. I know this from following some of my pins when I see them on a board that I think is “weird” and realizing that it got saved because it was a color, or inspiration or a style that matched the board’s intention and not necessarily what my post was actually about. So let’s start with pretty pictures. These all are striking pictures that would be interesting on their own without any accompanying link or message. When I started stalking the food bloggers I noticed that they had the most beautiful “tall” pictures for their posts that were a picture, words and then another picture. And those did okay too, but the real winners as far as pinning were the plain pictures of food without any words. I am going to be seeing about adding “extra” plain, relevant pictures to my posts that are more interesting. One trend that is really perplexing with pictures is the practice of using non-related pictures. Some of these do VERY well and are a great way of getting different people to notice your content. For example, you might use a very pretty picture of a garden on a marketing post or a picture of a dog on a post about taxes. I do think it works best when you can sort of tie it in, but many are just a blatantly wrong picture and they seem to work. Illustrations are sometimes a bit striking because of their clean lines and the fact that they contrast so much with actual pictures. I can tell you that the one on the right with the hands is one of my most shared posts. While it is somewhat “Etsy” colored, being orange, it doesn’t scream handmade or any of the other things that usually attract Etsy sellers. I think that it is the contrast of the illustrations versus all the “real” pictures that makes them jump off the page. The one thing that I have heard over and over from the survey that seems to have taken over mythical proportions is that you shouldn’t use people in your pins. While I don’t think that we should disregard the data about this, as an old school direct marketer from before the internet, I do know that humans like seeing other humans. I especially think this works when you are targeting a demographic like women or men to help show, at a glance, who the content is for. 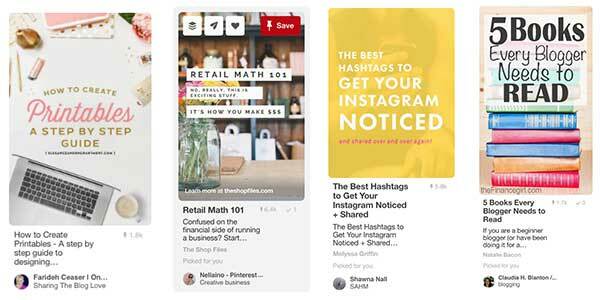 The one thing that I do want to point out is where I see the MOST faces on Pinterest… promoted posts. These are posts that a company is paying for and rarely do companies simply throw money out. Advertisers are very big on testing faces versus cute characters versus just words and MANY of them are using people. This is one that I struggle with! Instead of simply saying that you have a comprehensive guide to Etsy, you need to say, “The Ultimate Guide To Etsy SEO”. Instead of saying how to get paid for writing you need to say, “67+ Extraordinary Paid Writing Opportunities”. And I get it! 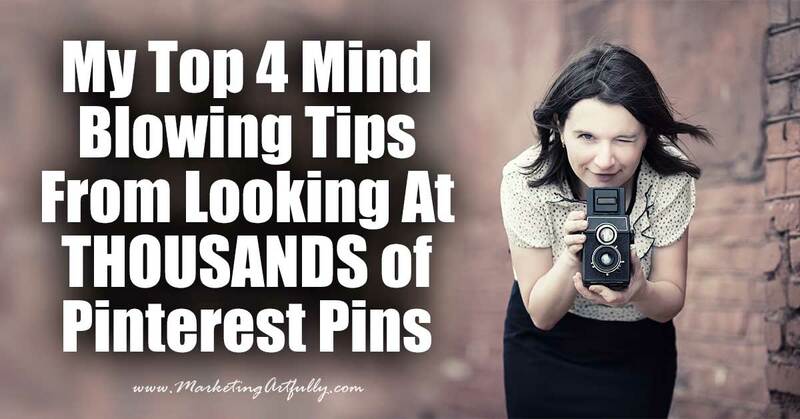 Pinterest is a visual platform and it is much more likely that someone will fall in love and repin your pin if it seems like it will solve a major problem in your life than if it will just help move the needle a little bit. The third phase of good pins makes my heart happy! It goes back to basic marketing and good font selection! Because so much of the “pin-ability” of a Pinterest pin comes from the message that is on the pin, words matter again. Having a standout message is reinforced with pretty fonts and great callouts. The last thing that blew my mind was how many words were on some of the most popular pins. Yowza! Back in the day, it was thought that you should have a simple message. 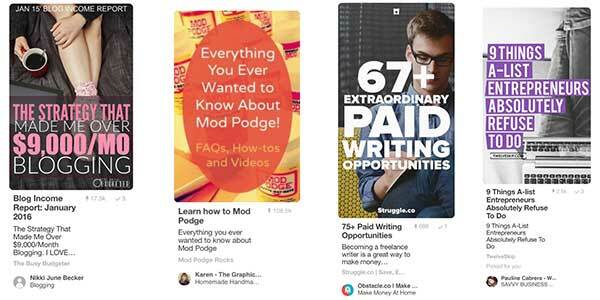 But there is a section of Pinterest that is super okay with “reading” pins. Or if not reading, having a lot of words available. This was the most shocking thing I noticed when I was doing my research. The sheer volume of words some pins contained! It takes pretty good design skills to make a pin with tens (hundreds) of words still look fun and interesting. The “tall, combined” pins don’t show up as often. As I was scrolling through the feeds, I did occasionally see a pin that combined multiple ideas or pictures, but they were much fewer and farther between than they have been in the past. There was no “one thing” that made pins popular. Plain pins got pinned, people pins got pinned, colorful and creative pins got pinned. Boring pins and ugly pins were popular too. This leads me to the conclusion that I cannot just make one standard type of pin and call it a day. Using a branding template is great, but you might be shooting yourself in the foot with other people who would pin your content, but they don’t like your look. 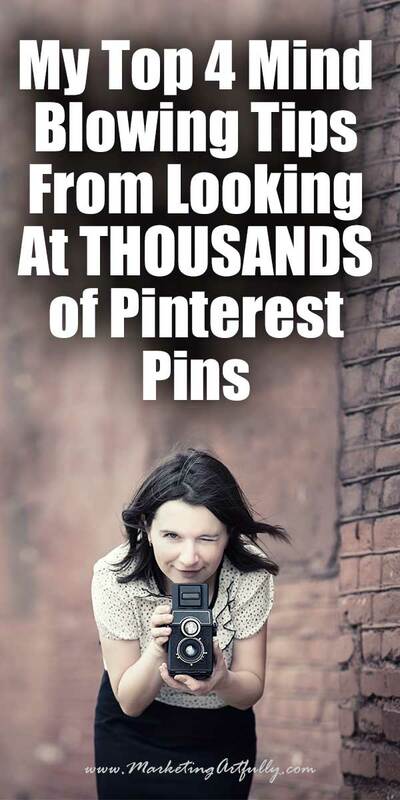 Please know that your Pinterest feed is VERY myopic. I am lucky that I have client accounts that I can log into to do Pinterest searches. Many of the pins that I found were NOT on my searches. 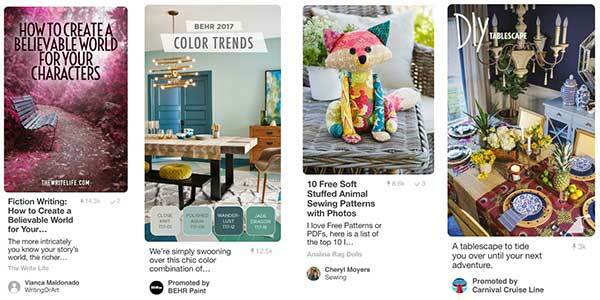 It is not like you can scroll far enough down to fix the filtering that Pinterest is using (Smart Feed). There were many topics that I could not see much on because Pinterest really didn’t think those matched my “real” interests.